Chen tai chi books seem to be thin on the ground - or it may be that the style is hidden away in the inside of a book that looks like general tai chi. Here's what we found so far. 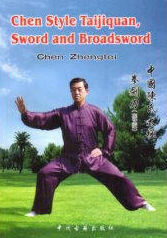 It covers the history of Chen style taijiquan, Taiji theory, push hands, weapon forms and Chen family legends. Theory and instruction explained in terms of body mechanics covering the fundamentals and the basics. Good instructions and fair photographs. Includes coverage of the martial applications and push hands. Good coverage of history and the evolution of tai chi with references and interpreted sections from the Taijiquan classics of the nineteenth and early twentieth centuries. 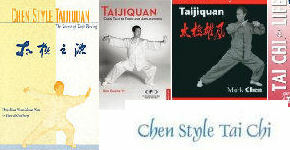 Covers the history of Chen style taiji and provides instruction and clear photographs for the 38 sections of the form. It then goes into the self-defence applications of the some of the movements in the form. The focus is on the health benefits of Tai Chi using the official Chen Style 18 Short Form, Silk Reeling Energy and Qigong exercises. Detailed full colour illustrated instructions and in-depth discussion of the theories behind Tai Chi practice. The second half of the book is a collection of articles about the experiences people have with tai chi. And there is a companion DVD. 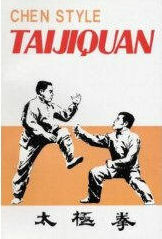 begins by explaining the Ten Elements of Taijiquan and the Thirteen Elements of Chen Style Taijiquan. With lots of illustrations it describes basic theory, physical requirements, postural movements, Qi circulation, and self defense applications for nearly every move. All movements in the full Chen Style Small Frame method with its First Routine are broken down into detail, individually for each part of the body. Also includes instructions on several Silk Reeling exercises and standing meditations. The book is bi-lingual (English-Chinese) and has lots of clear pictures of master Chen Zhenglei accompanying the instructions. By Yanling Xing, Shing Yen-Ling, and Ling Shing Yen. Only gets average reviews at Amazon and there don't seem to many mentions of it elsewhere. by	Feng Zhiqiang and Chen Xiaowang. The focus is primarily on fighting applications of the Chen style with lots of photos of martial applications of the Chen long form and cannon fist. 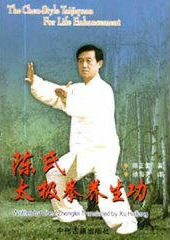 It is a step by step walk through the applications of the two main Chen routines as interpreted by Feng. It also contains a section on the 38 forms performed by Chen Xiaowang.